I began this blog in February 2005 with a small post and quote about Thunder Butte from Wiwambli, a Lakota poet who lives on the Cheyenne River Sioux Reservation in South Dakota. Now, I find that Thunder Butte and Wiwambli are featured on the album cover of a DVD at the Dakota Discovery Museum store located here. Titled "Canku Wakan ~ Holy Road," the music DVD was filmed on the Cheyenne River Sioux Reservation. 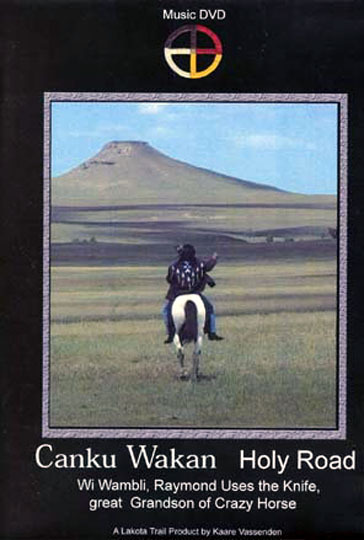 With a picture of Wakinyan Paha (Thunder Butte) in the background and Wiwambli (Raymond Uses His Knife) on a horse in the foreground, this may be the only filmed media available for sale which depicts this particular place -- Thunder Butte -- which has been sacred to the Lakota for generations. A copy of the DVD can be purchased by going online to the Dakota Discovery Museum Store by clicking on this link. In my last post, I displayed what I thought to be the only surviving photo of Thomas James Crowley, one of the Crowley brothers who lived at Thunder Butte and died at the age of 17. Thomas has always been shrouded in mystery for me, and I spent a good deal of time trying to pry the details of his face from the picture I posted last month with Adobe Photoshop, as he was hidden in the shadows of the photo. While you can get some sense of what the child, Thomas, looked like, the shadows, the poor quality of the photo, and time all seemed to conspire to continue hiding him. 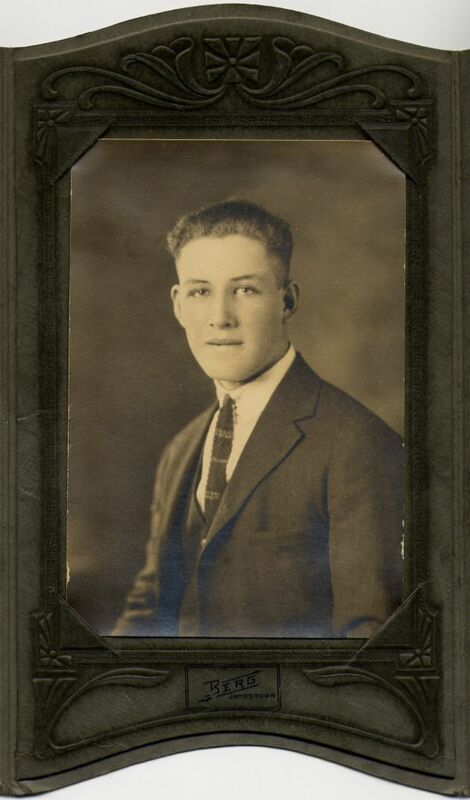 Well, after traveling to California and finding another assortment of photos that belonged to my deceased grandmother, I found this photo of Tommy, as he would have appeared as a young man shortly before his death from appendicitis on an operating table miles from home. I discussed what my father remembers of him and his death in a separate post one year ago, which you can find by clicking here.